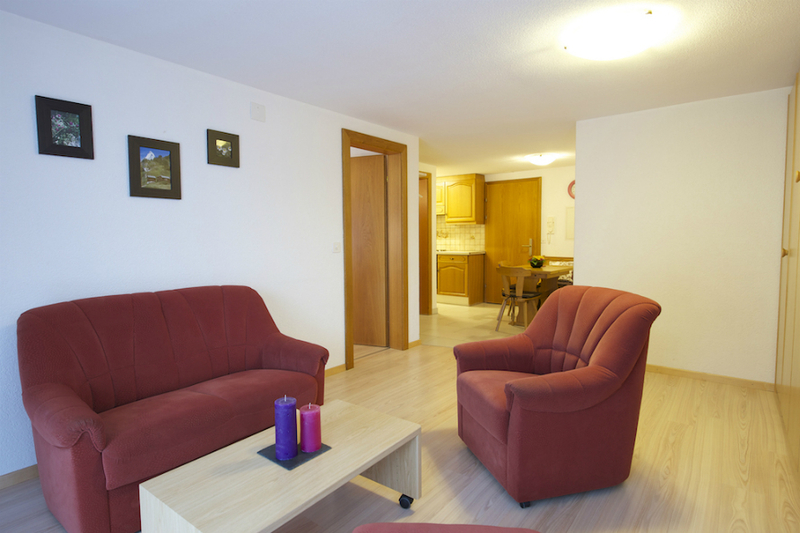 Bolero appartements offers comfortable studios, 2½-, 3½- and 4½-room apartments of 3-star and 4-star standard, most of which feature a balcony or terrace. 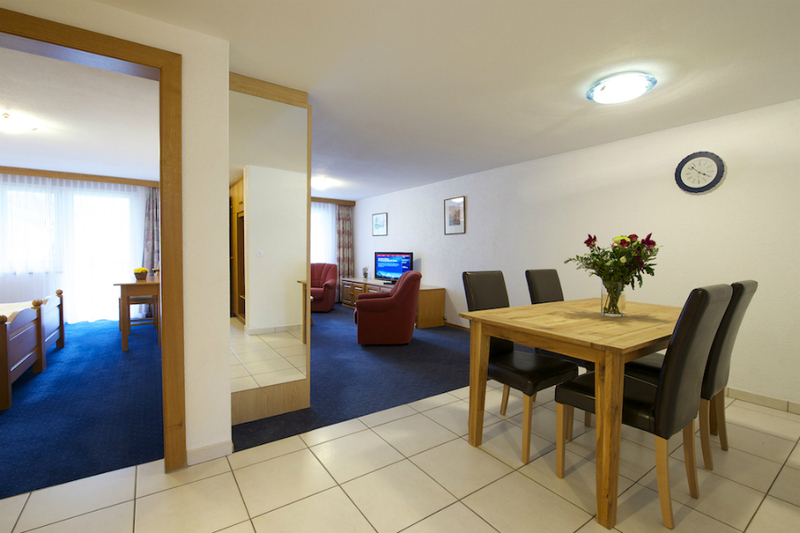 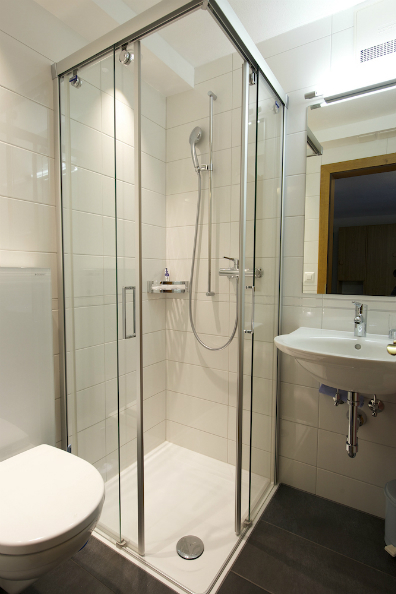 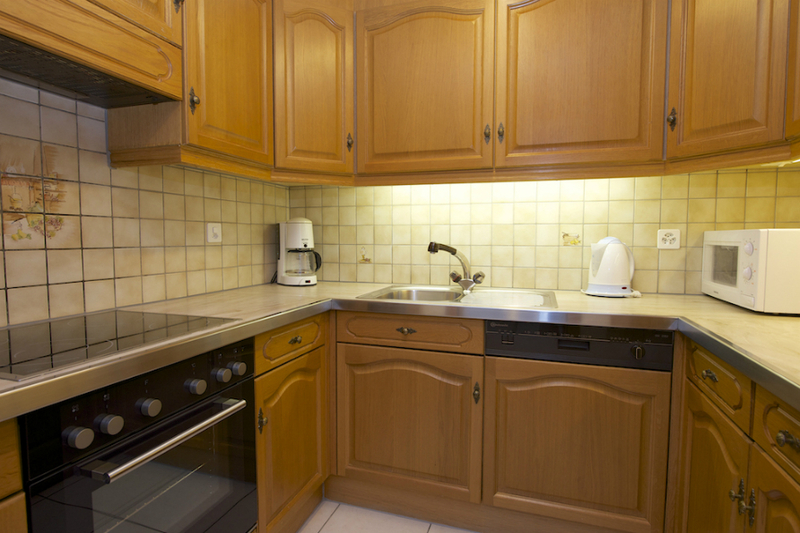 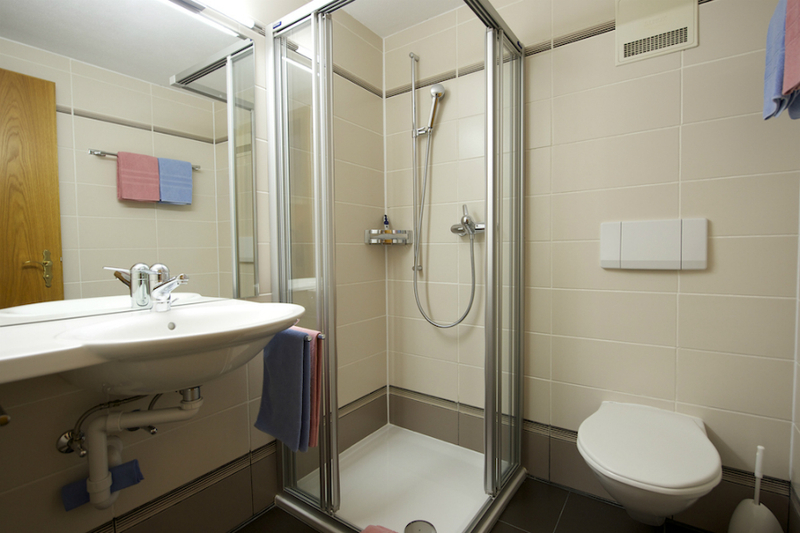 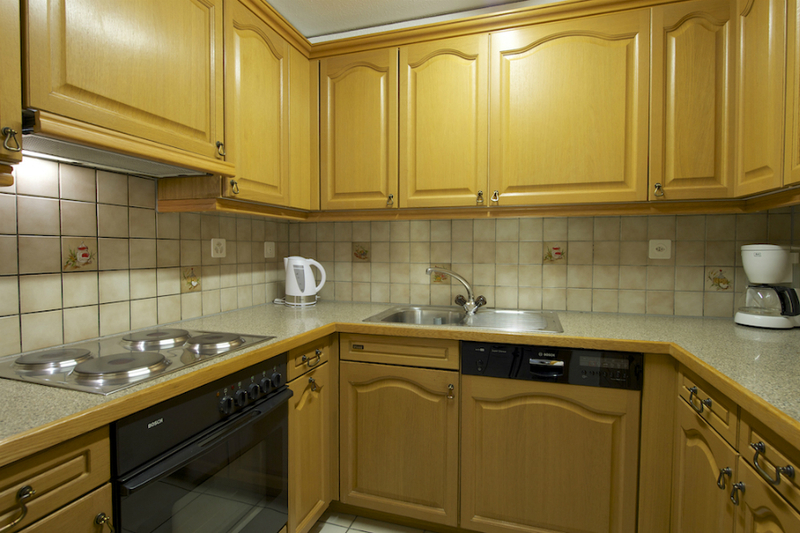 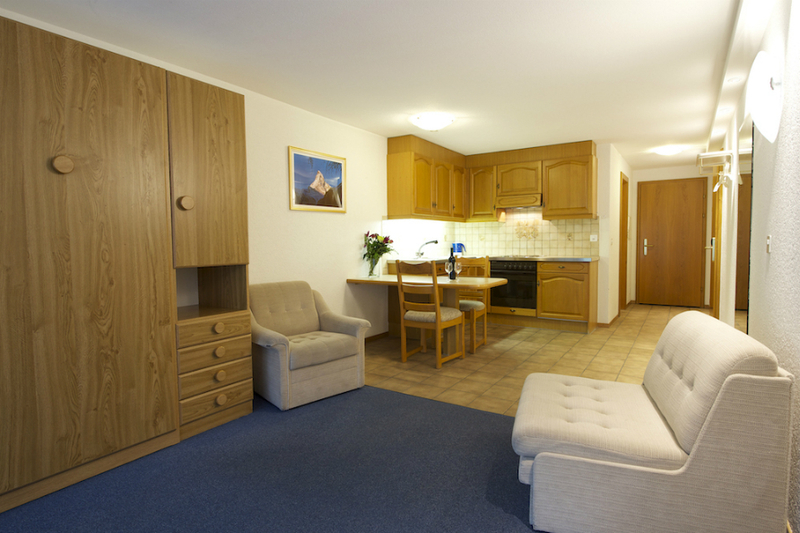 The apartments are equipped with a fully fitted kitchen – including oven and dishwasher (no diswasher in studios) – TV, telephone, wireless internet access (WLAN) and a hairdryer. 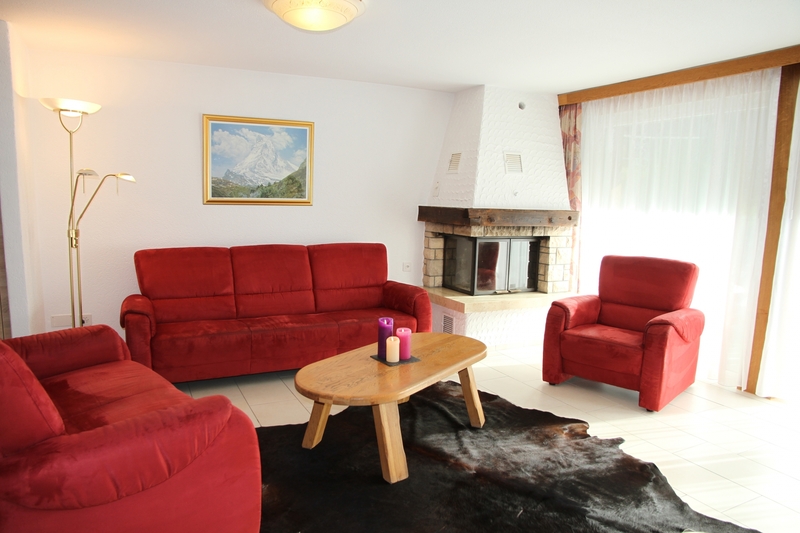 Upon request, guests will be provided with items such as a raclette/fondue set or other items, including a cot and high-chair for toddlers. 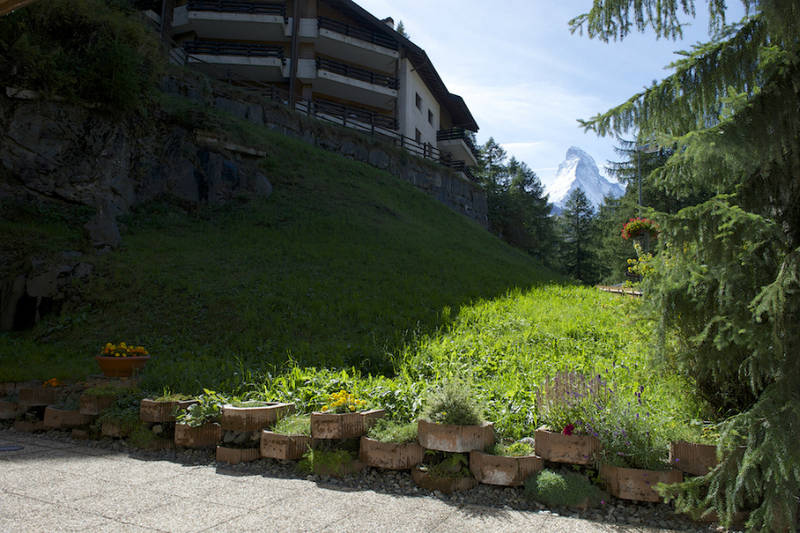 For a complete list of items available, please enquire with the guest relations office, open daily in the evening. 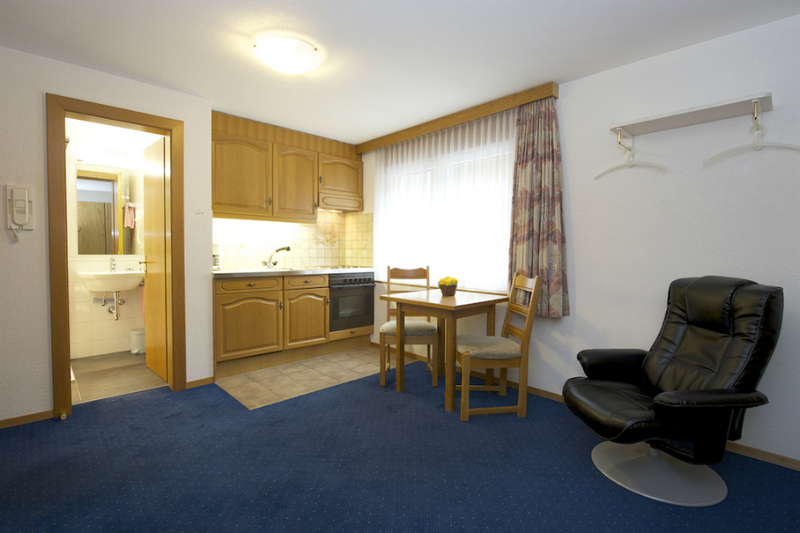 Comfortable spacious oak-furnished 4½ apartment consisting of three double bedrooms, each with two beds, large living room, fireplace, telephone, TV/radio, large open-plan kitchen with oven, dishwasher, kettle, microwave and coffee maker, bathroom with double sink and toilet, and separate half-bath a shower room with toilet . 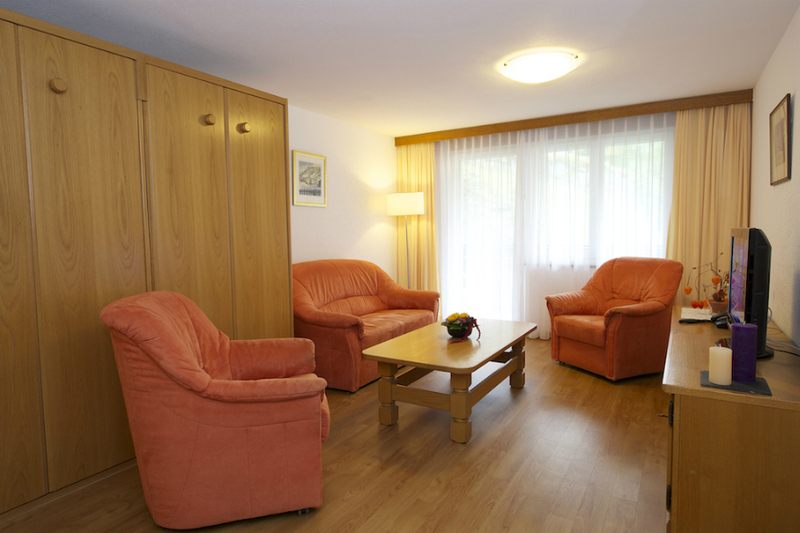 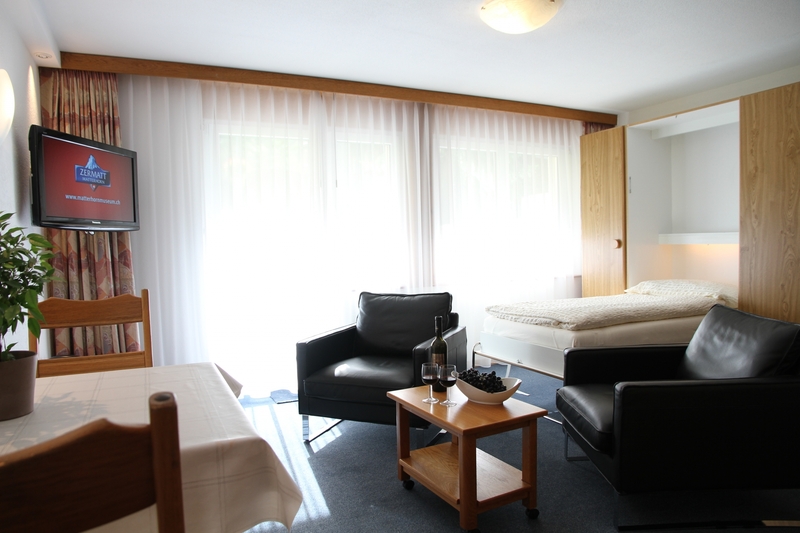 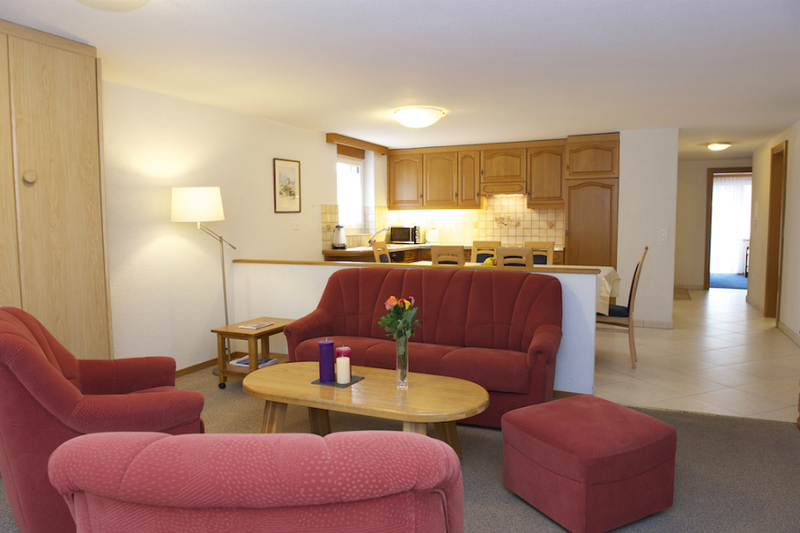 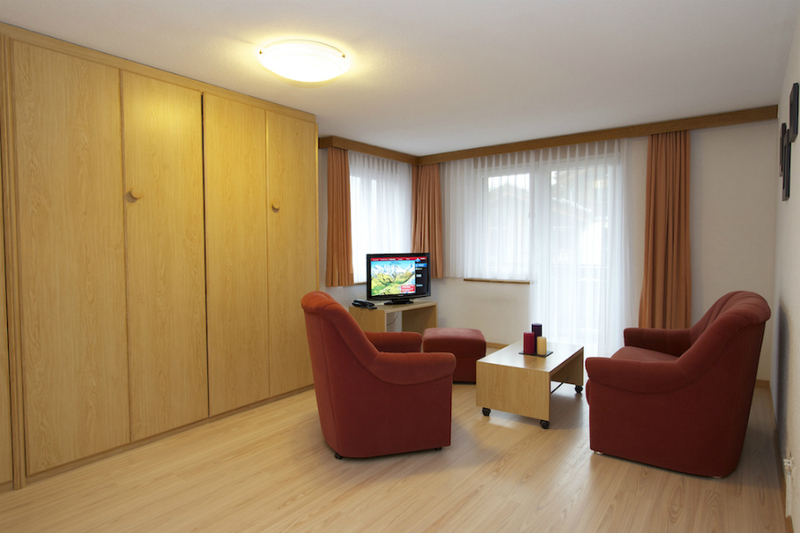 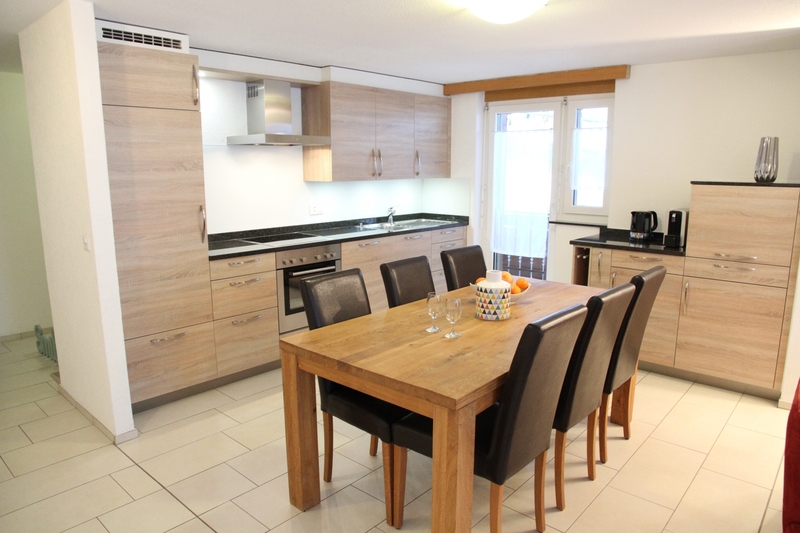 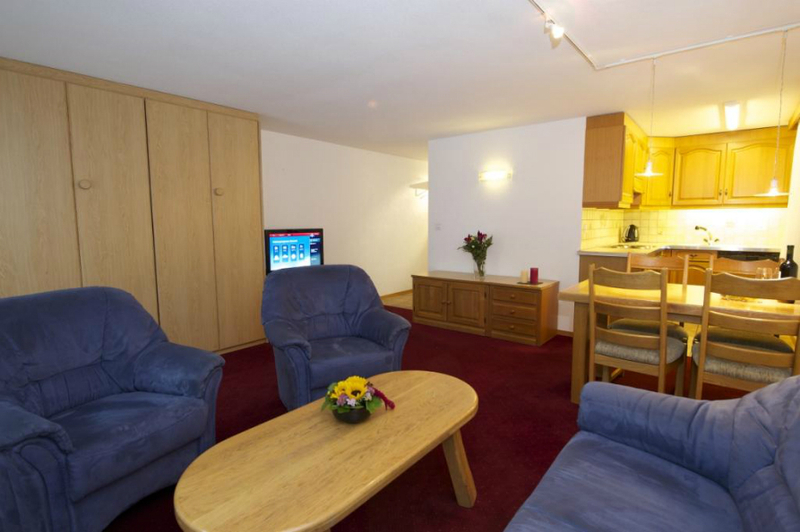 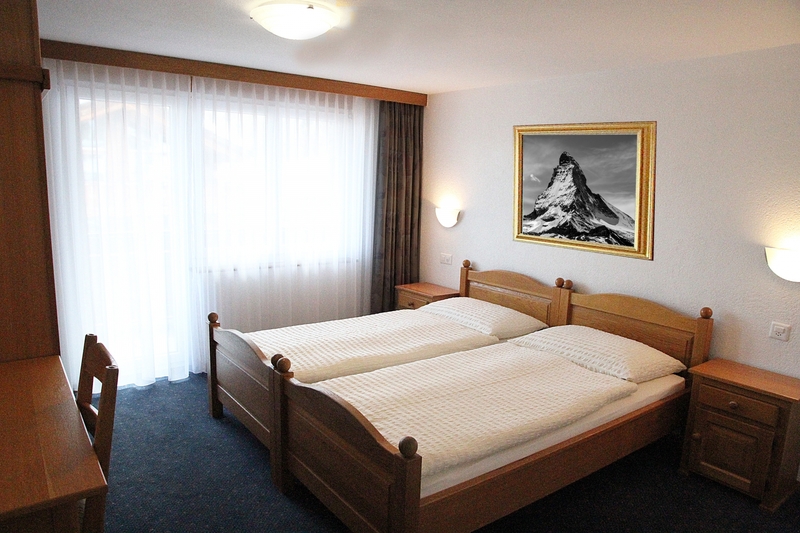 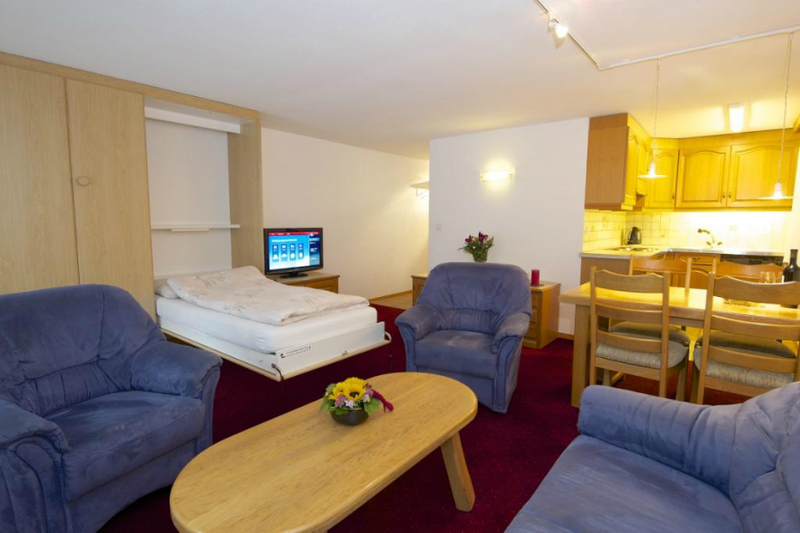 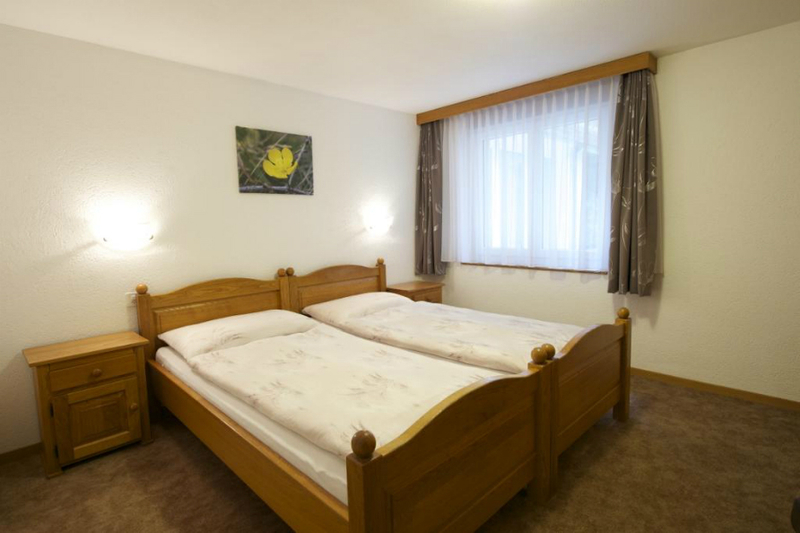 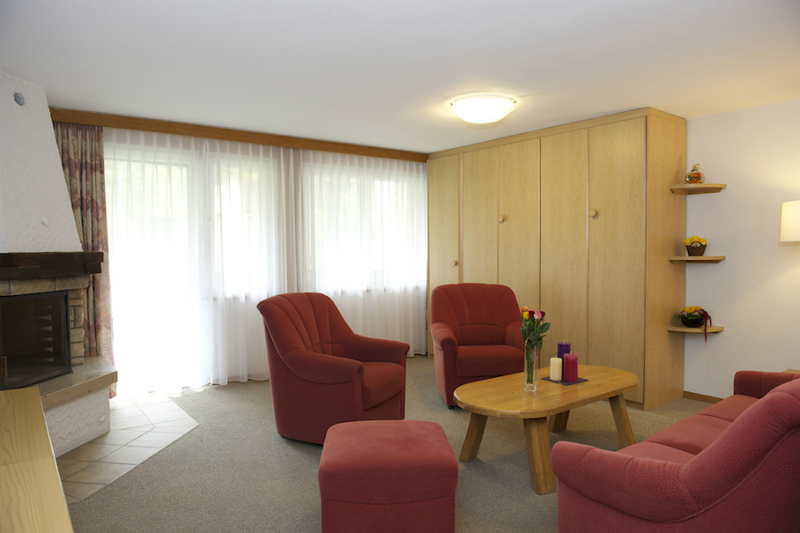 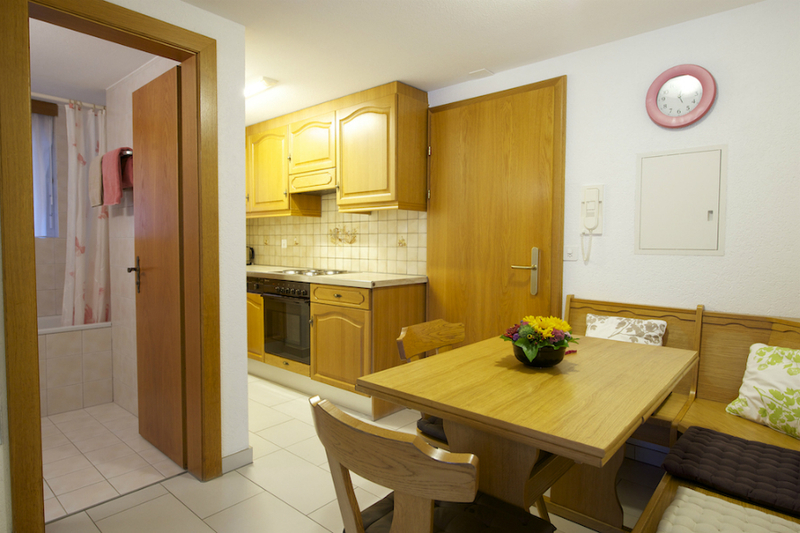 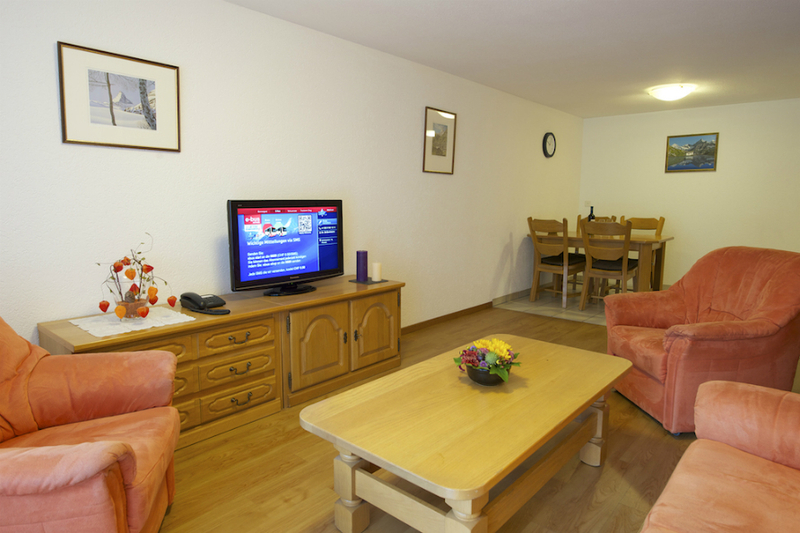 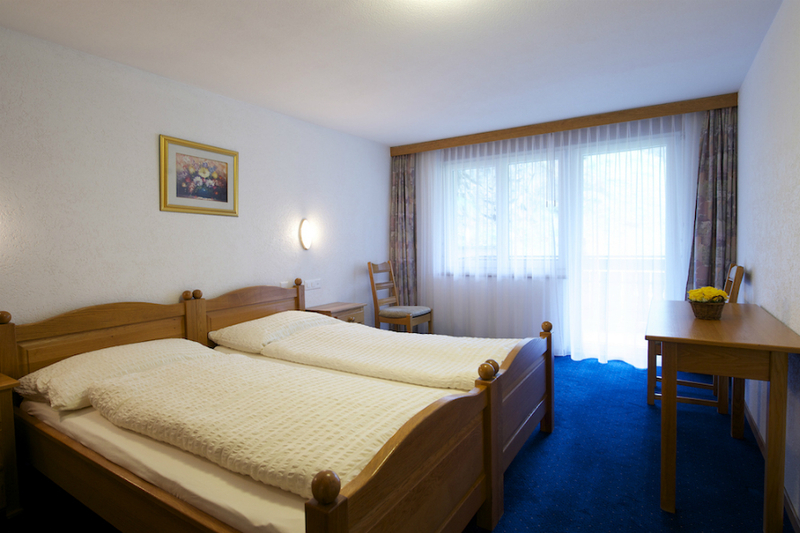 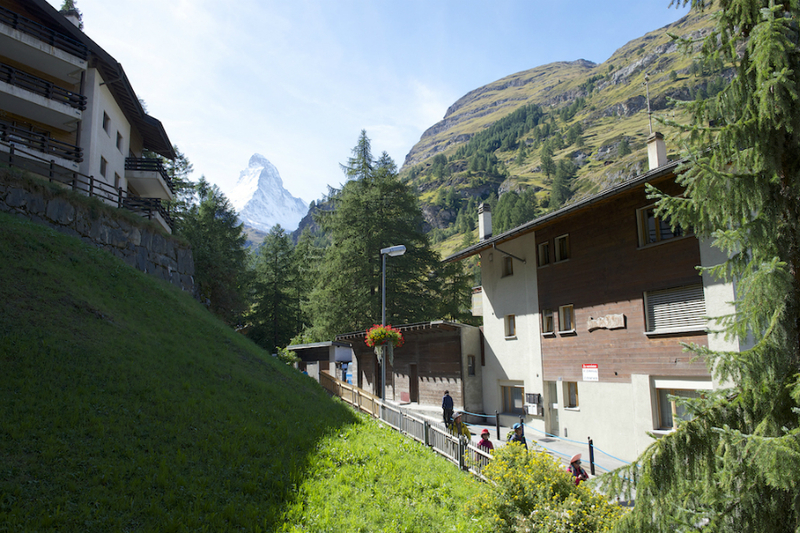 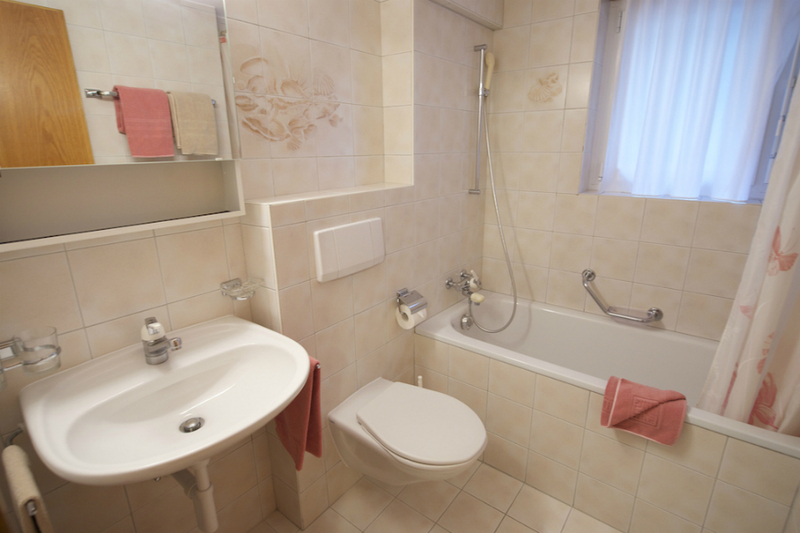 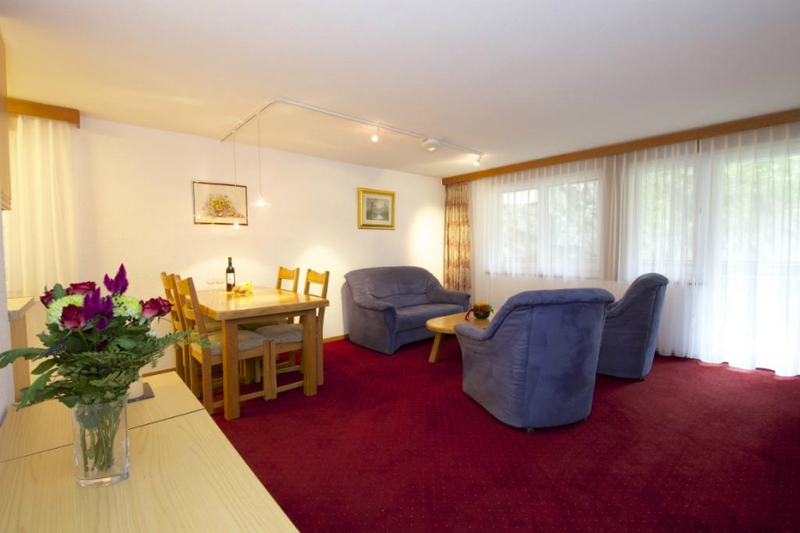 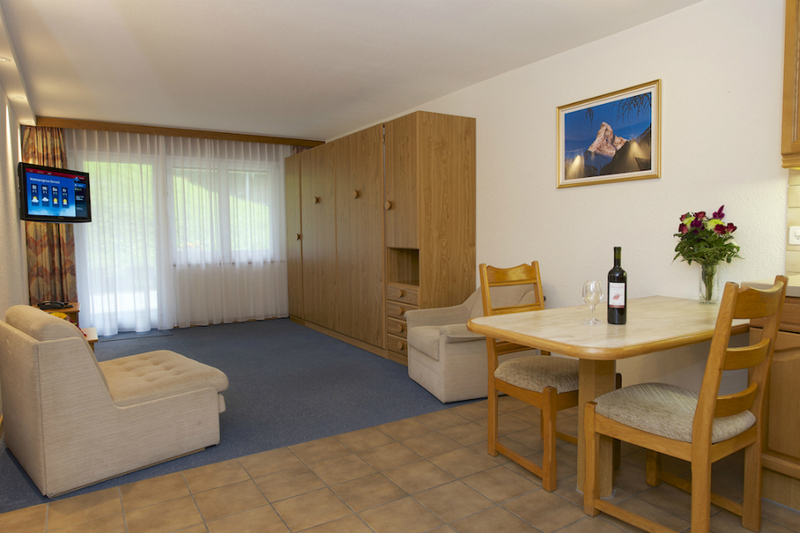 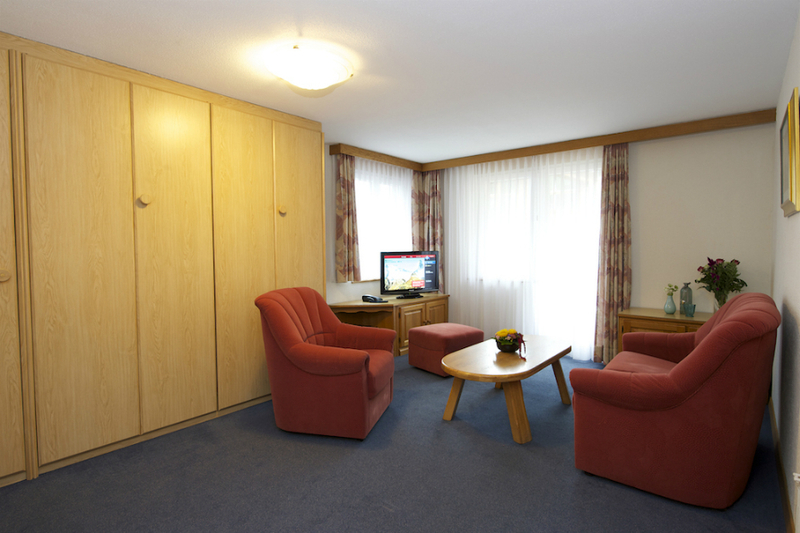 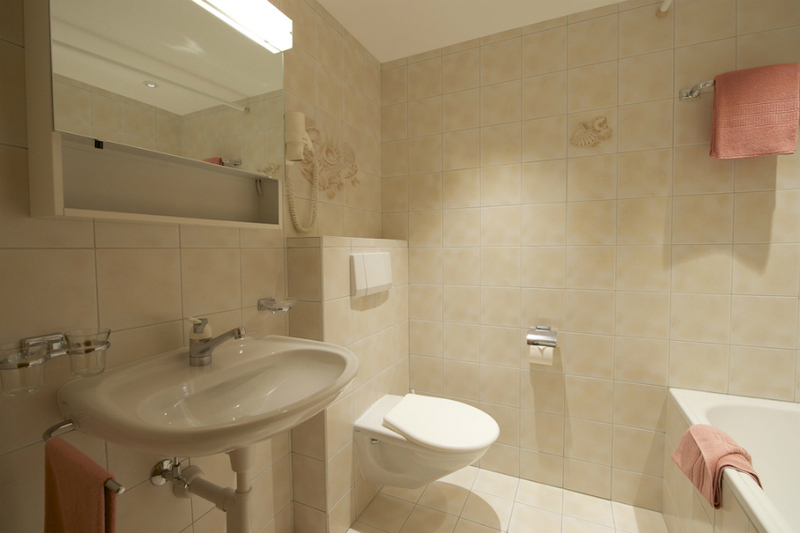 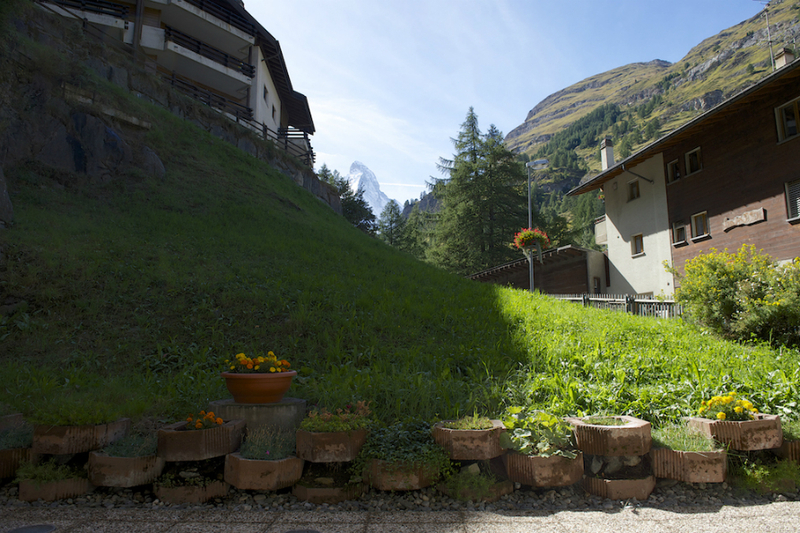 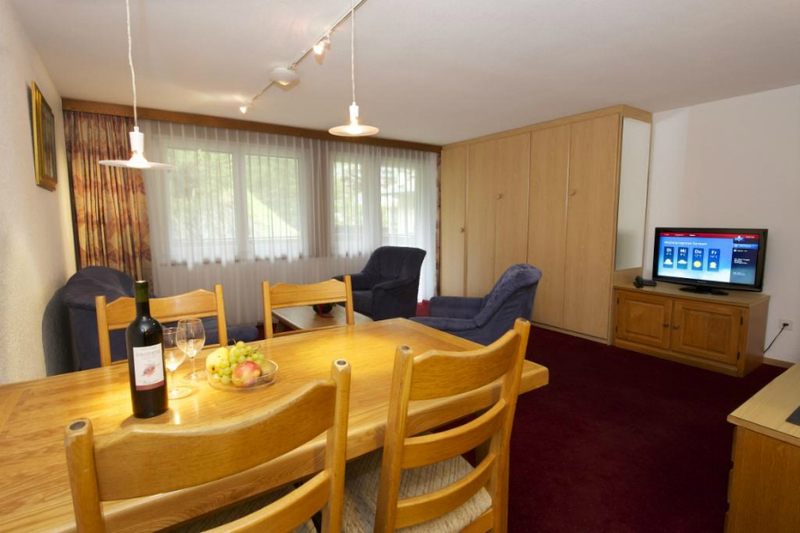 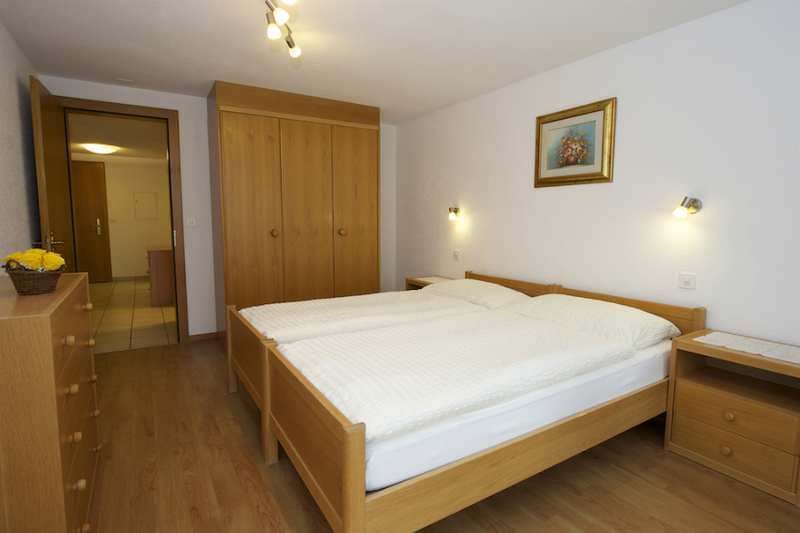 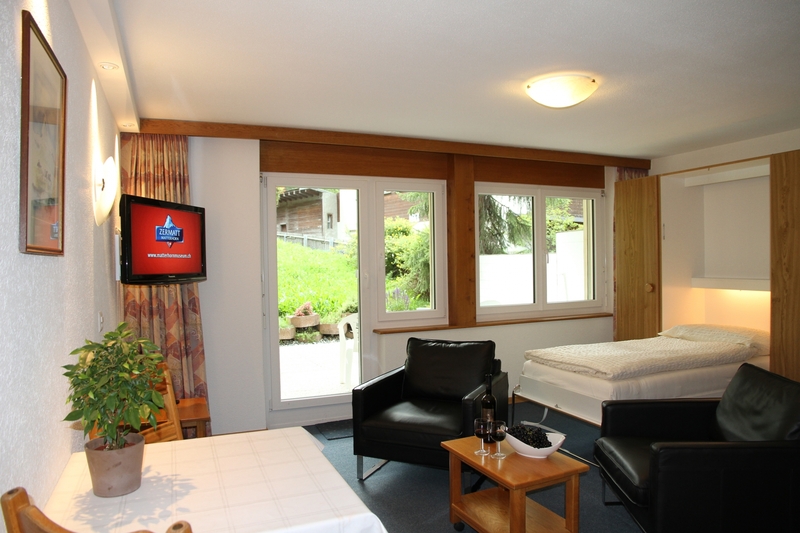 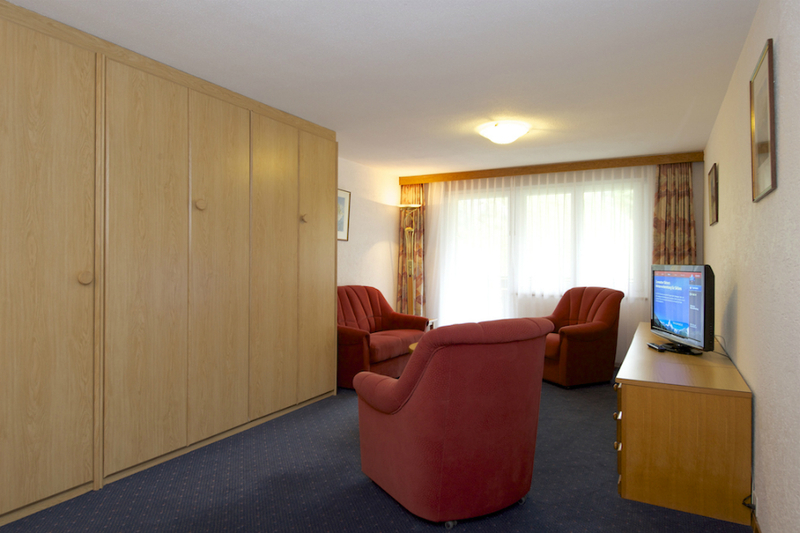 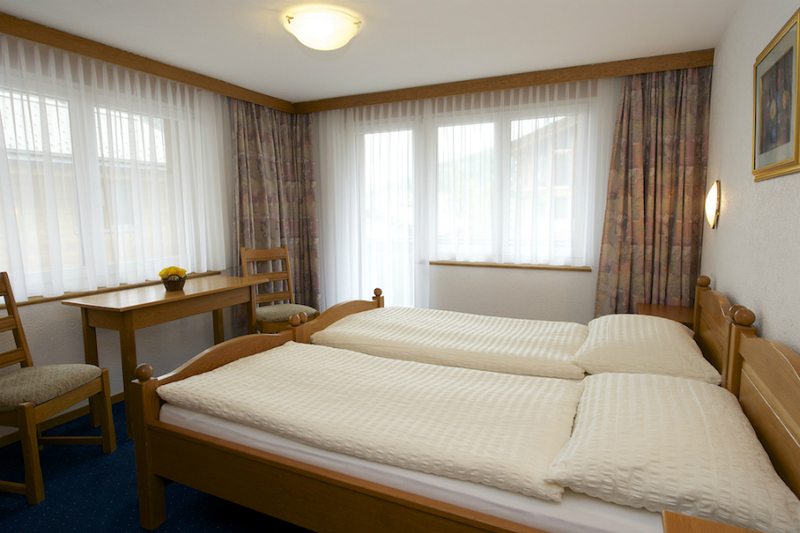 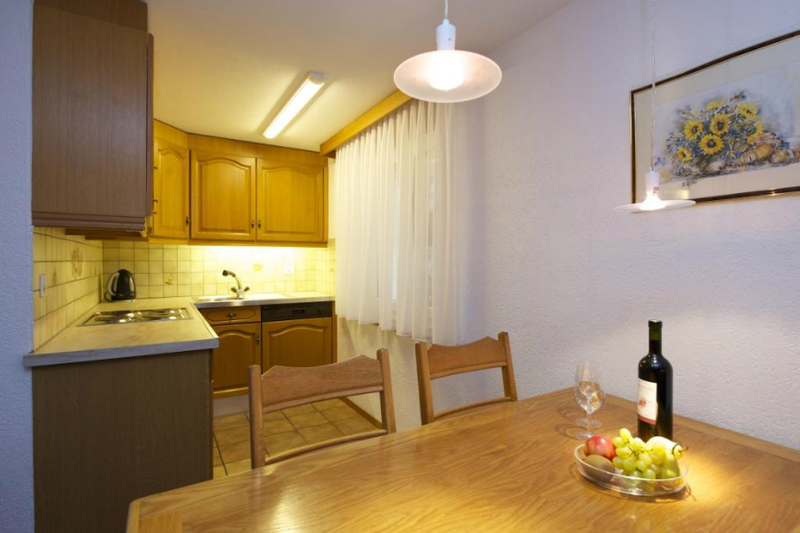 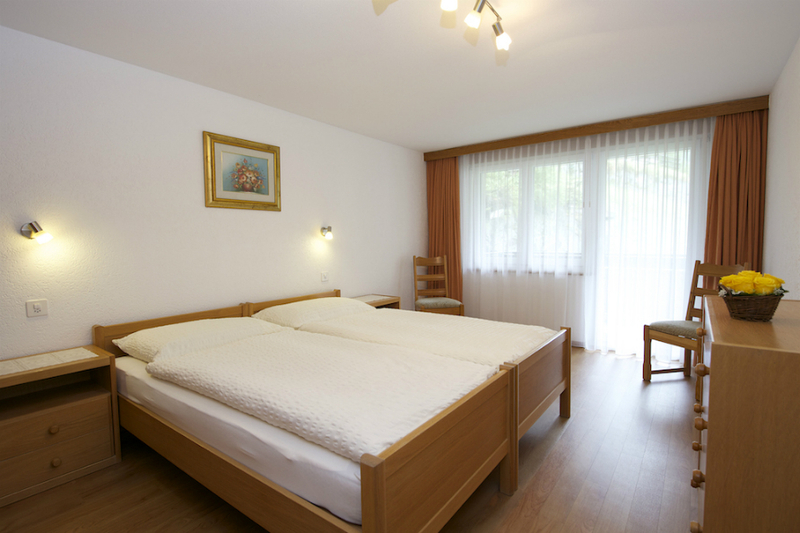 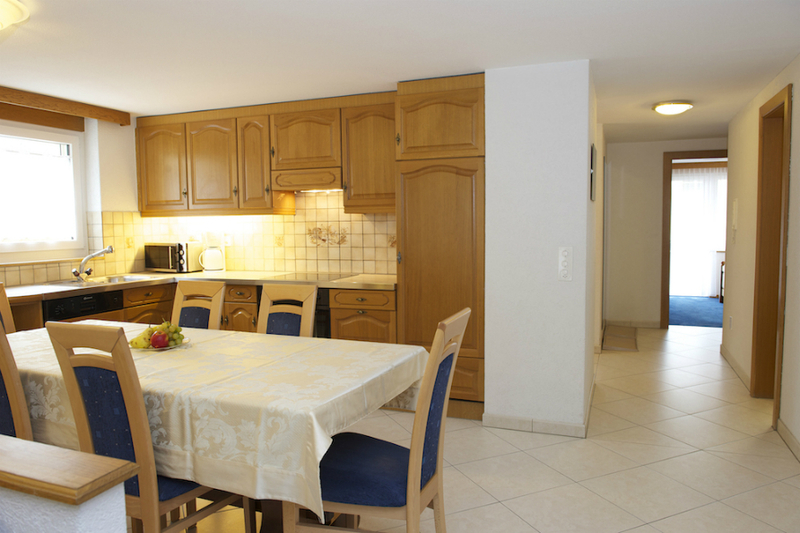 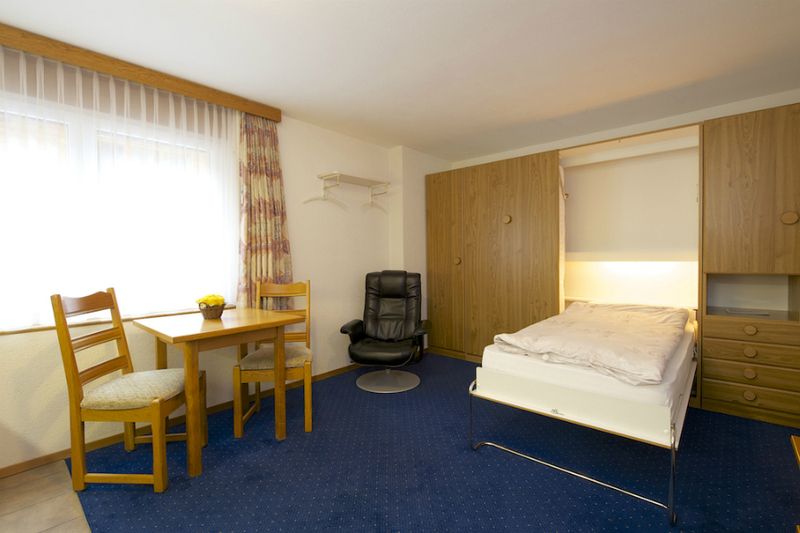 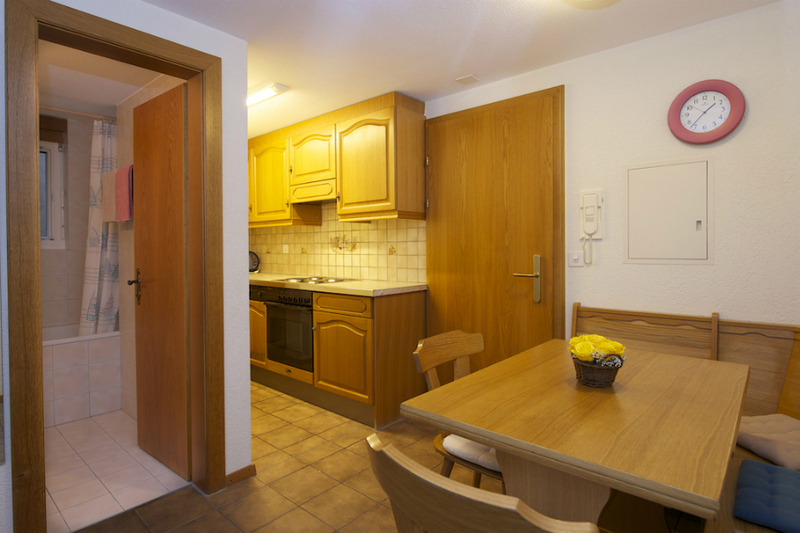 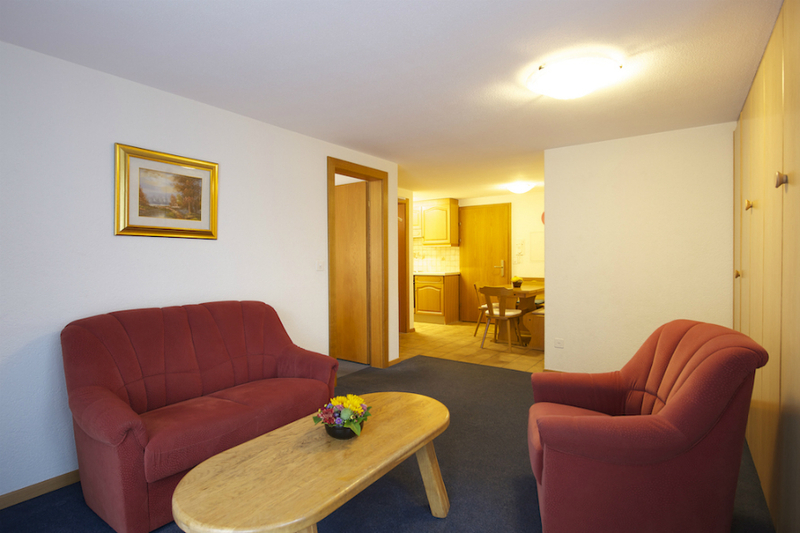 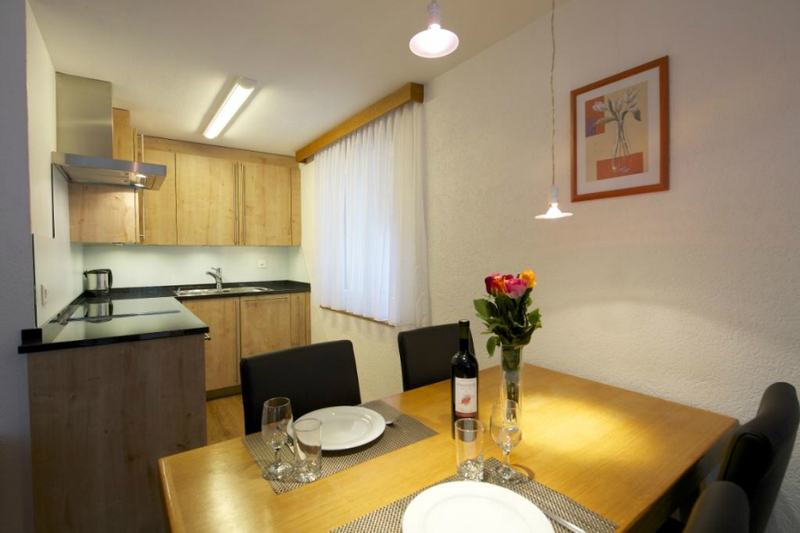 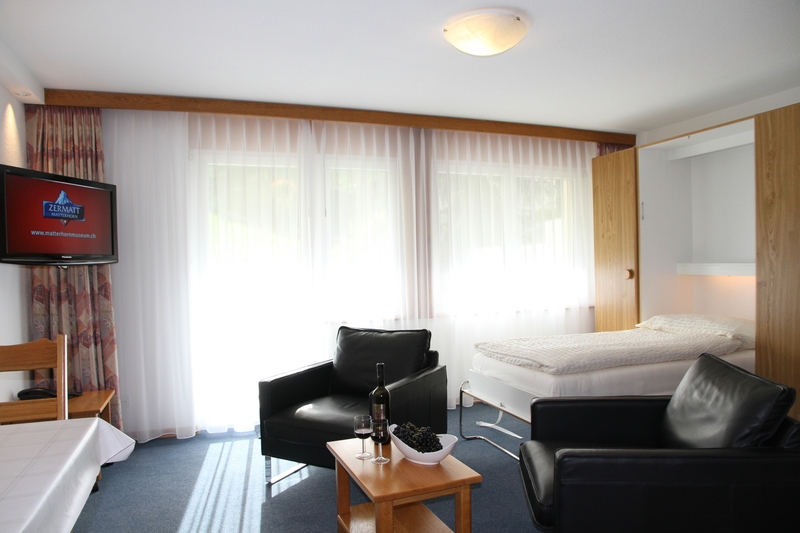 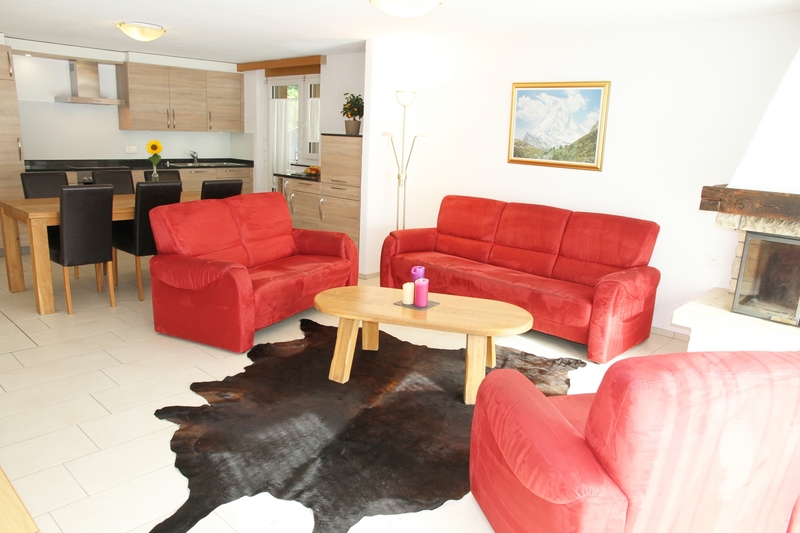 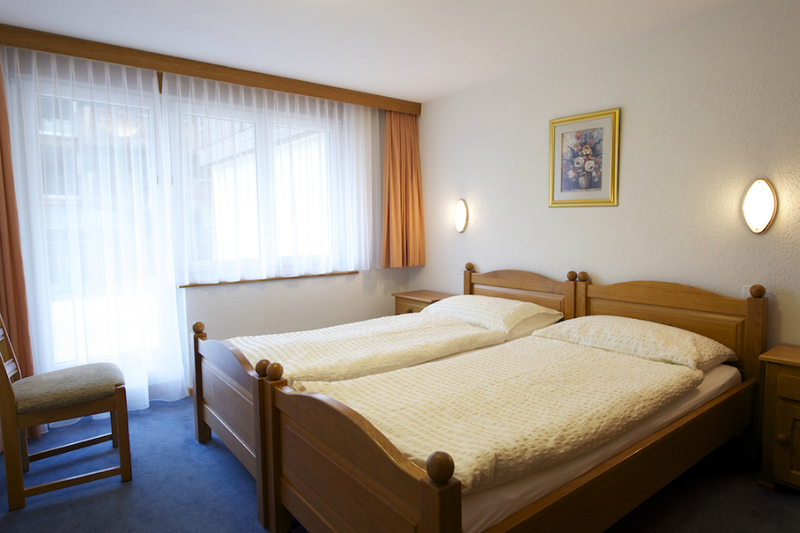 Comfortable, spacious, oak-furnished 3½-room apartment with Matterhorn-view. 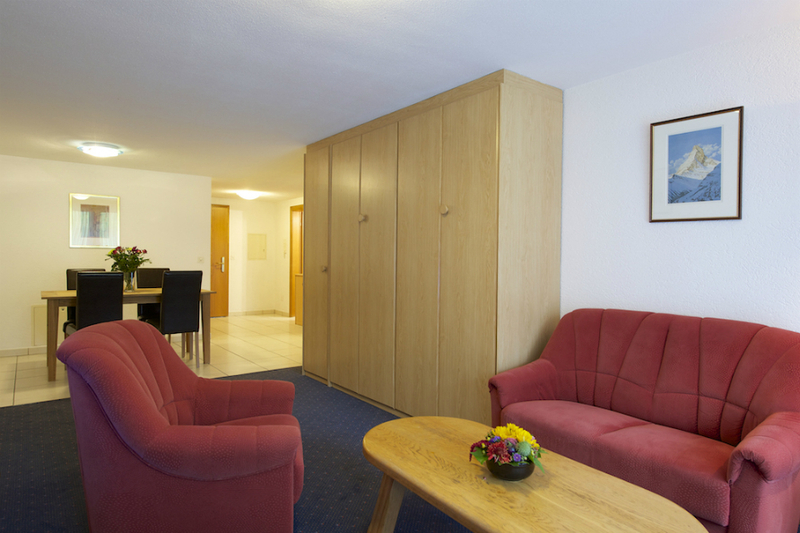 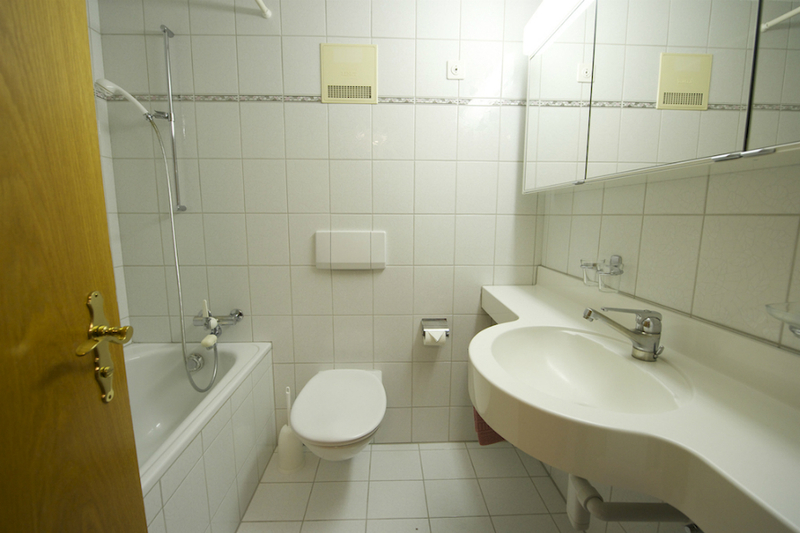 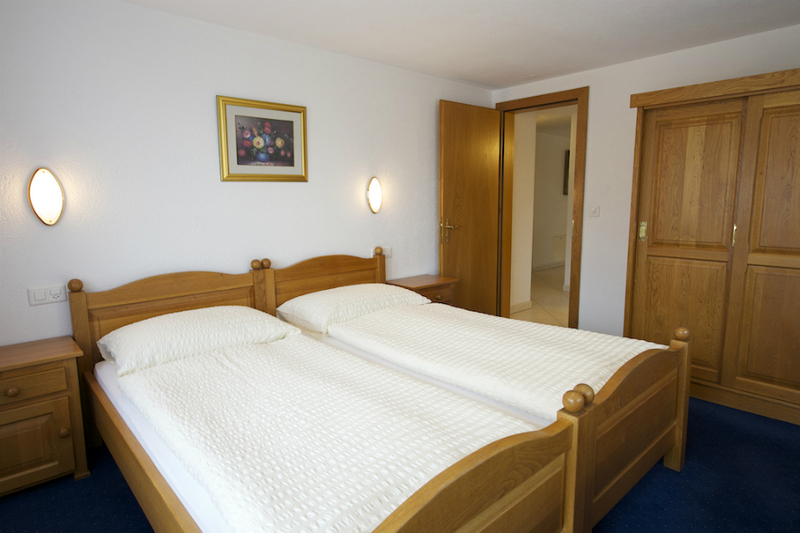 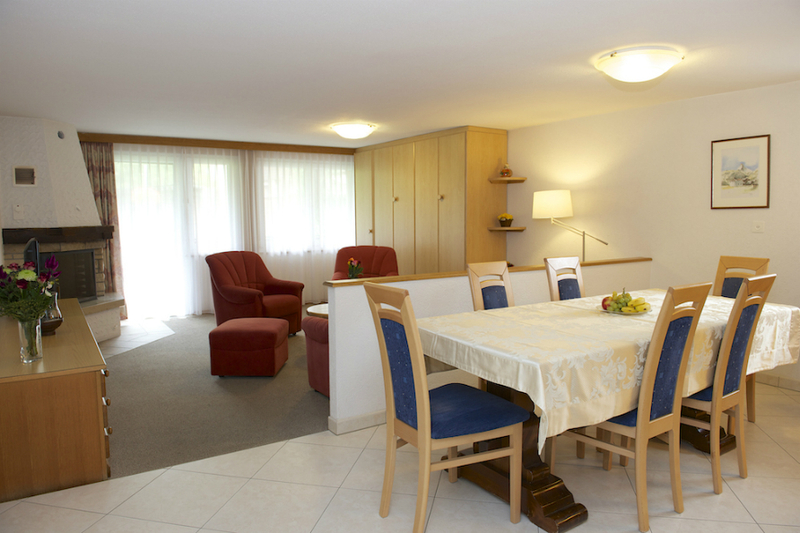 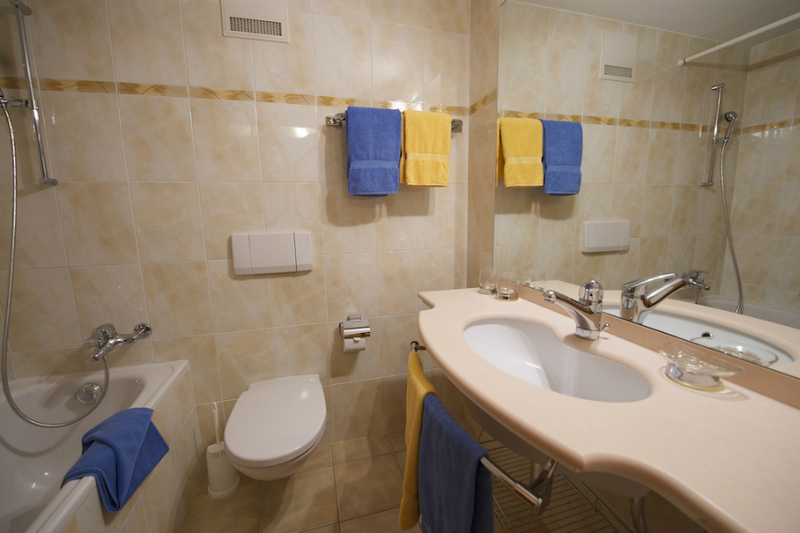 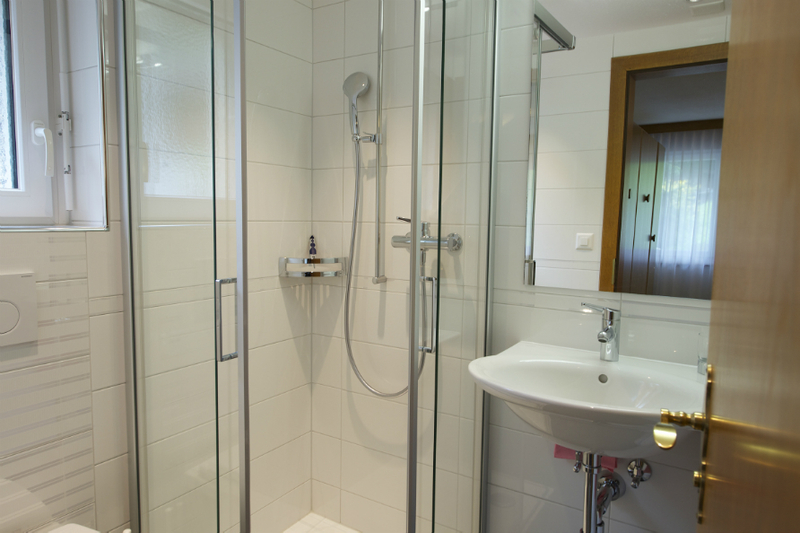 The apartment has two double beedrooms, each with two beds, a living room with two folding beds, telephone, TV/radio, fireplace, a large, fully equipped open-plan kitchen with oven, dishwasher, kettle, microwave, coffee maker; bathroom with double sink and toilet and a separate half-bath with shower and toilet. 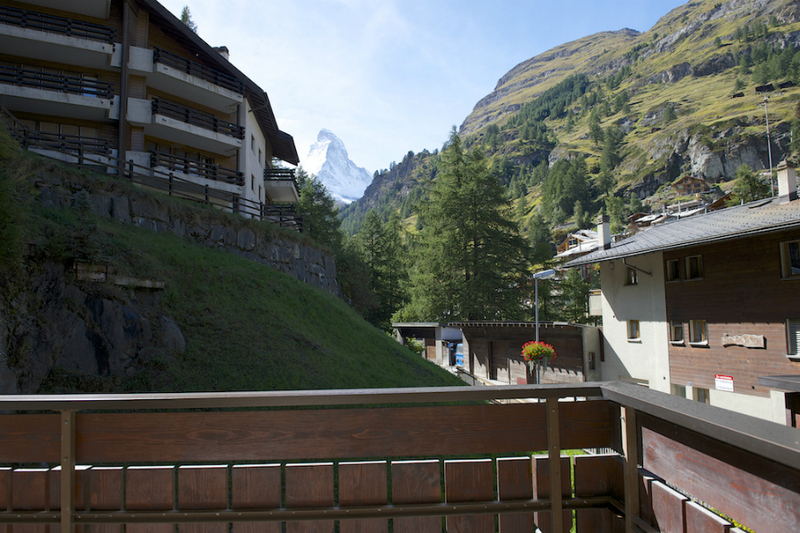 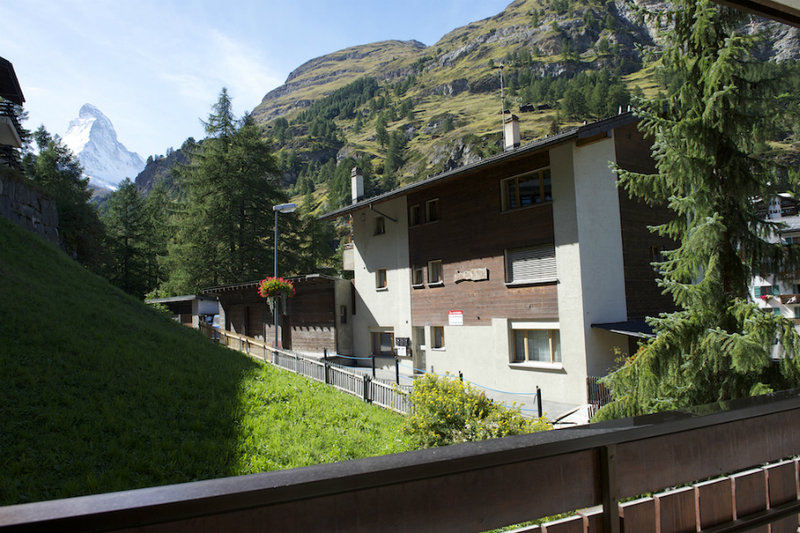 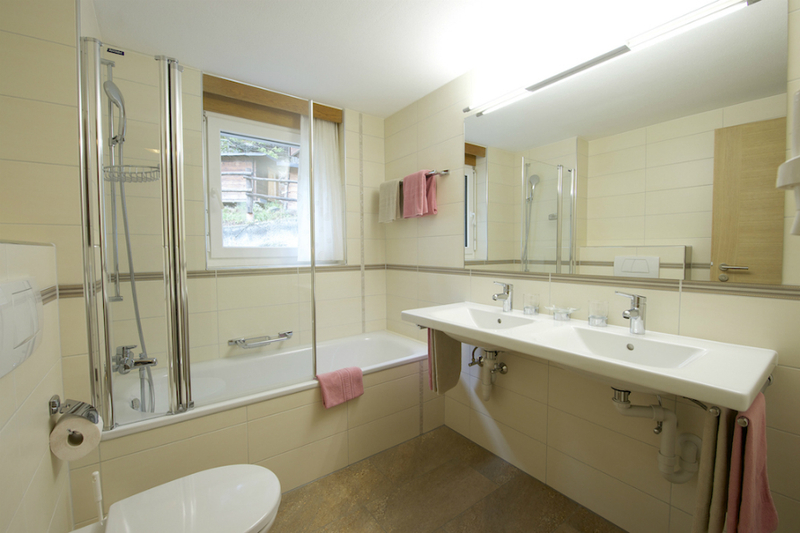 Comfortable, spacious, oak-furnished 2½ room apartment with a Matterhorn-view, one bedroom with two beds, living room with two folding beds, telephone, TV/radio, kitchen with oven, dishwasher, kettle and coffee maker; bath / shower and WC. 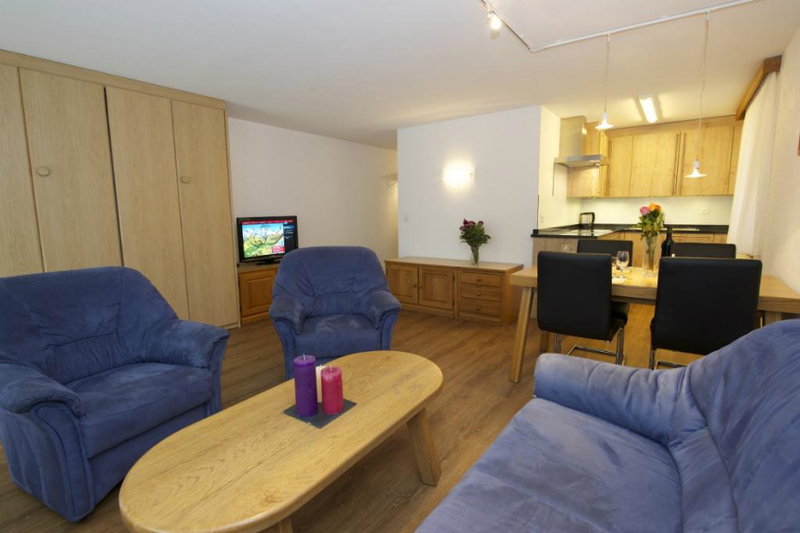 Comfortable, south-facing, oak-furnished 2½ room apartment, one bedroom with two beds, living room with two folding beds, telephone, TV / radio, kitchen with oven, dishwasher, kettle and coffee maker; bath / shower and WC. 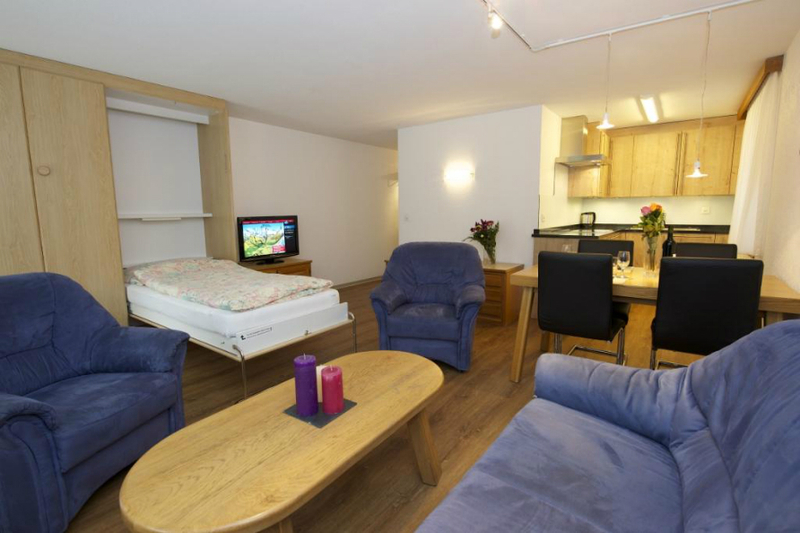 Comfortable, north-facing, oak-furnished 2½ room apartment, one bedroom with two beds, living room with two folding beds, telephone, TV / radio, kitchen with oven, dishwasher, kettle and coffee maker; bath / shower and WC. 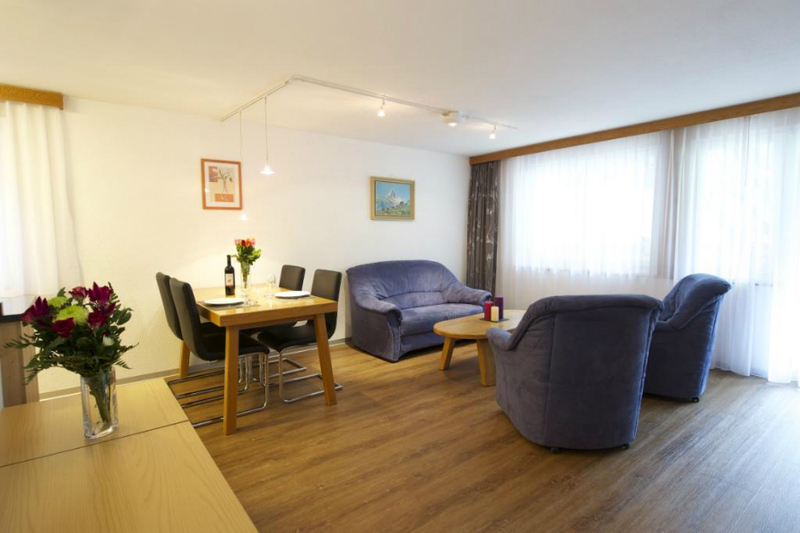 Comfortable, south-facing studio apartments, some with terrace, comprised of a living area equipped with oak wood furniture, two fold-away beds, television/radio, telephone, WLAN, kitchen, kettle, coffee maker, bath/shower, toilets and hairdryer. 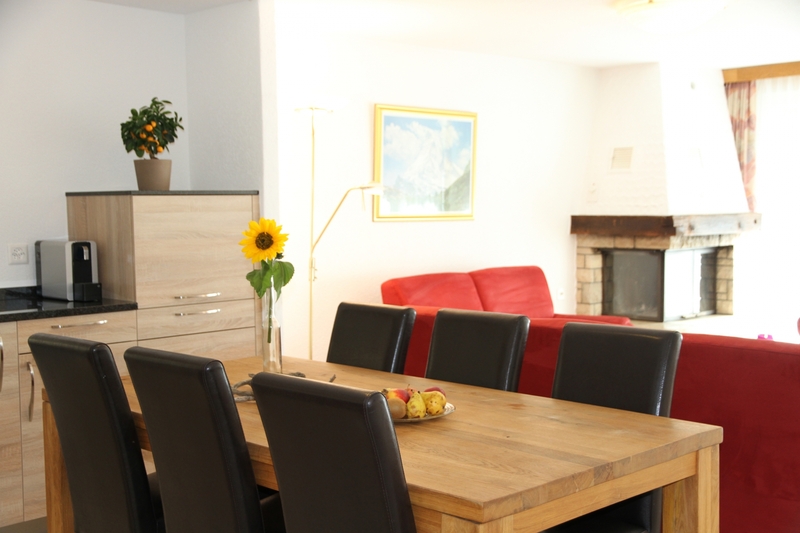 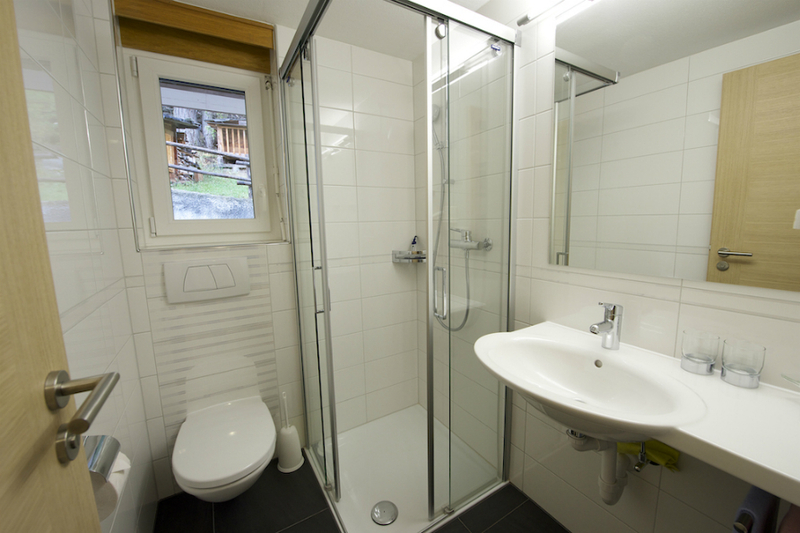 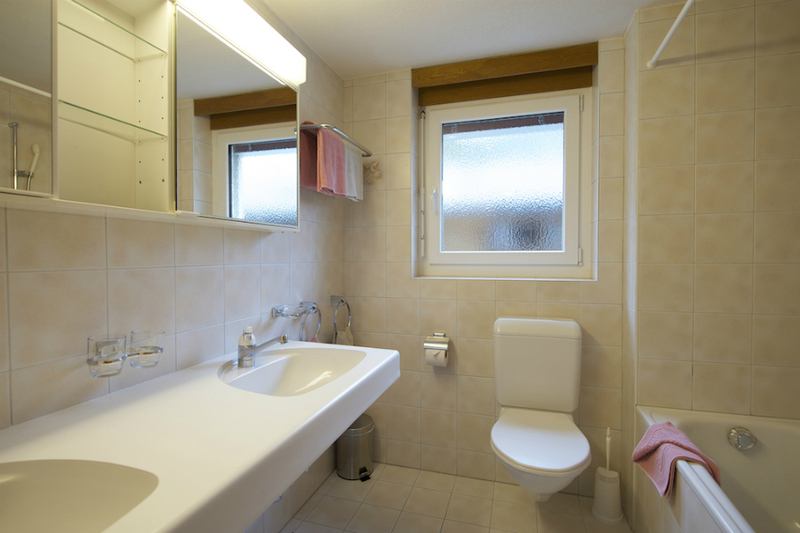 Cozy small first-floor studio without balcony or terrace, furnished in oak wood and with two foldaway beds, television/radio, telephone, WLAN, kitchen with oven, kettle and coffee machine, shower and toilet.